Lacrosse is the fastest growing team sport in America and it’s taking off right here in Jenks! No experience is necessary and crossover skills from football, basketball, soccer, baseball, softball and volleyball can be used to learn lacrosse. Join the Jenks Trojan High School club team and have fun competing in this exciting, full-contact sport! The season will include games against regional high school and club teams and some travel will be required. Enrollment is now closed. For more information, please email Coordinator tracy.isbell@jenksps.org. Join the Lady Trojans club team for their fourth season and discover the fun and excitement of lacrosse! The season will include games against local high school and club teams and some travel will be required. The season runs January through May. Enrollment is now closed. Contact Coordinator adena.bolte@jenksps.org if you have questions. 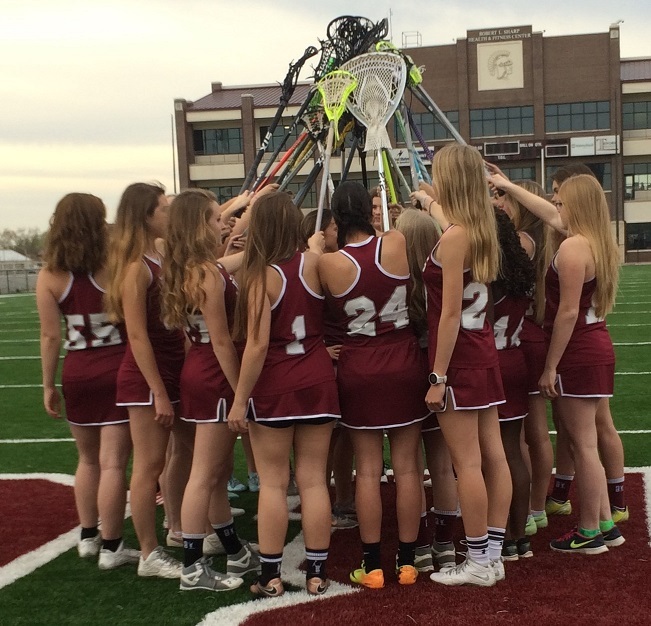 Sign up for Jenks Youth Lacrosse and discover this fast-paced sport filled with lots of fun and thrills! No experience is necessary. Younger participants play this full-contact sport as a modified version with limited contact. The season runs February through May. Click here for more information. Enrollment is now closed. Contact Coordinator tim.carver@jenksps.org if you have questions. Register for the spring season and experience the speed, grace and fun of this non-contact sport! The season will include some road games and some travel will be expected. No experience is necessary. The season takes place February through May. Click here for more information. Enrollment is now open - click here to register today! Contact Coordinator tim.carver@jenksps.org if you have questions. Click here to register for the 2019 JHS Lacrosse Golf Tournament held at the Flying Tee.